The same game concept that proved to be unfading, but the appearance is brand new. 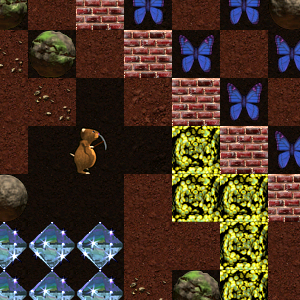 This reworked version of Boulder Dash was created with true love for the original game. As kids we used to spend hours playing Boulder Dash and now that we have grown up to be pros we were able to contribute to the game on a professional level. 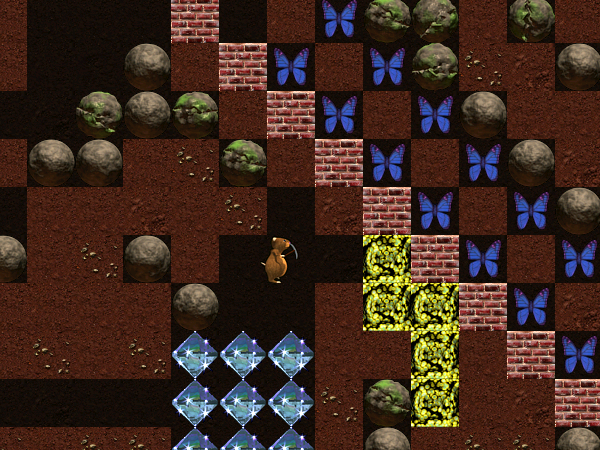 Butterflies, fireflies, amoeba, dirt, rocks, diamonds, gravity, the need to have logical mind and reaction skills — all these appeal to various emotional drives of a Boulder Dash player. 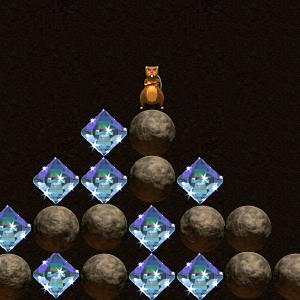 All of them have been taken to the extreme in this new version of the game. Experts did the game’s animation, music and programming. This is our way to show that Rockford™ is most welcome in the 21st century, and we are excited about it! The first 5 levels are available in the free trial version. 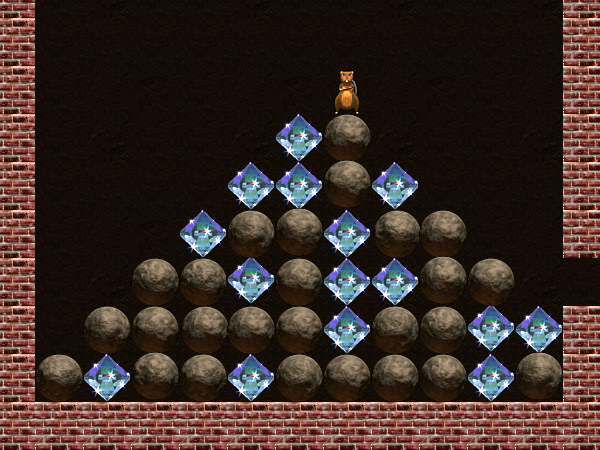 “Boulder Dash®. 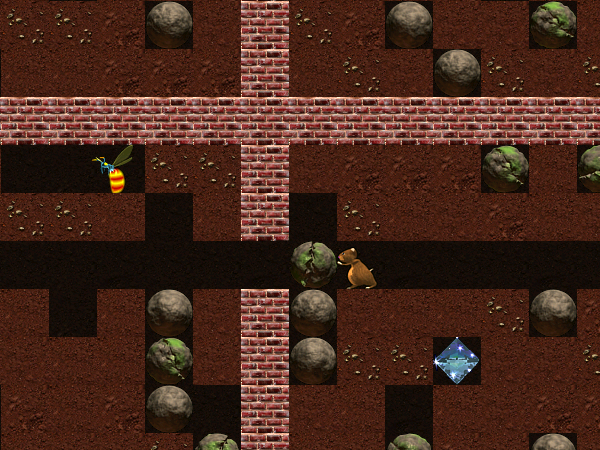 Episode I: Dig The Past”, “Boulder Dash®. Episode II: Jive-n-Cave”, “Boulder Dash®. Episode III: Final Blast” and “Boulder Dash®. Episode IV: Rockford Returns” were developed by ZX Games with permission from First Star Software, Inc. The original game was created by Peter Liepa with Chris Gray. Boulder Dash® is a registered trademark of First Star Software, Inc. and is used with its permission. © 1984—2008 First Star Software Inc. All rights reserved.